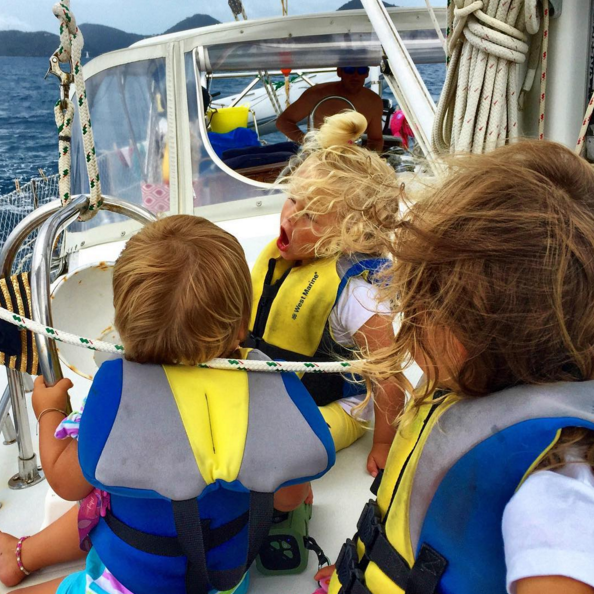 Home Sailing Tips Guest Post: So You Want to Sail with a Baby? 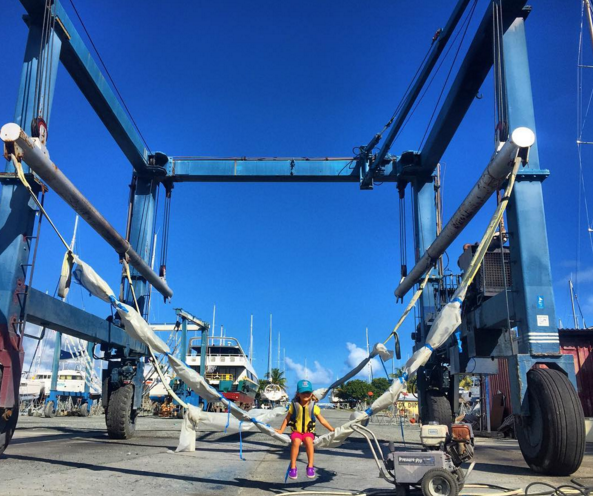 Guest Post: So You Want to Sail with a Baby? Today we have another fantastic piece by Windtraveler. Brittany presents us with practical tips and useful advice on how to sail with a baby. Read more on their blog. Babies and boats. To many, this is an unlikely – and possibly irresponsible -combination. But to others, it’s a very natural, healthy and enjoyable way to keep adventuring when kids come into the mix. And it’s catching on! 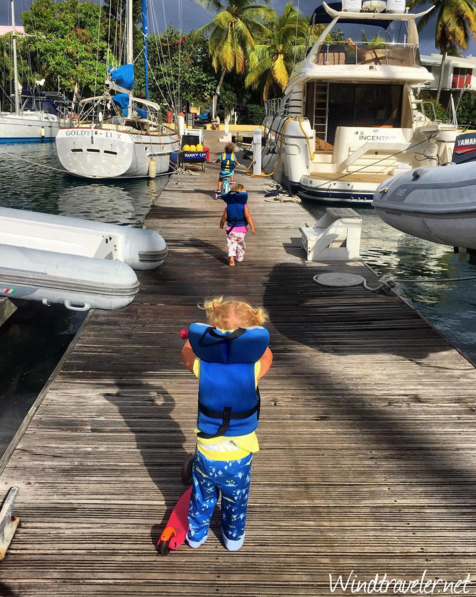 With more and more parents realizing that children are not an ultimate ‘death sentence’ to living a life less ordinary, there’s a pretty healthy sub-group of us that are taking to the high seas with tots in tow. As one such couple who has done just this, we obviously have a strong opinion on the matter. It is our belief that there is no greater gift that you can give your babies and growing children than that of your time (whether on land or sea matters not), as well as ample time in nature – and we feel incredibly lucky and grateful to have found a lifestyle that allows us to give these things to our children in spades. Boats produce some pretty awesome kids if you ask us! Our first born daughter, Isla, was raised on a boat from five to twenty one months old. She was a natural on the boat and made cruising more fun for us. When we discovered that we were pregnant with twins just over a year later, we had to “change tacks” as it were. Our timeline shifted and we took a significant land-based hiatus, but ultimately we returned to our floating lifestyle when the girls were ten months old. We are still living aboard, and our three girls are now aged four and two, respectively. 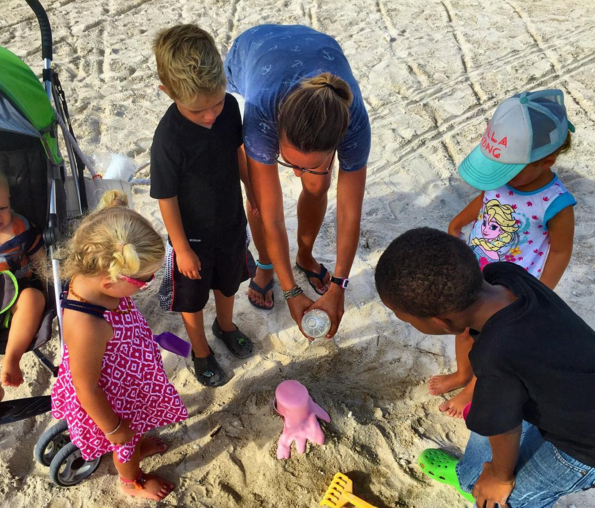 Traveling as a family was a huge gift, and I believe very strongly that living on a boat and adventuring with mom and dad during those formative months of our children’s lives have had a profound effect on their development. All positive effects, mind you. The fresh air, the sunshine, the lack of television, quality time with mom and dad, exposure to other cultures and foods, the natural stimuli of nature – I could go on and on, but suffice it to say; we think cruising and living aboard is a pretty cool way to grow up. Cruising with one baby was not hard for us, but three proved to be a very different situation. We adjusted accordingly to accommodate our new family by ultimately deciding against long distance sailing and deciding to settle in the British Virgin Islands. This allowed us to still be able to embrace the aspects of the lifestyle that we loved (island live, being at anchor, cultural diversity), without the stress of long passages, rough weather and overnight sails. Regardless, we have learned more than a few things about boating with babies. 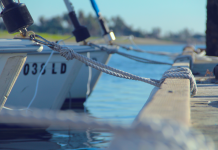 Namely, that there are a huge slew of factors that will effect how you will find boating with a baby (or babies), and a few of those things are the following. that is easy to sail by one person (in our case this is almost always Scott) is key in our opinion. We bought a boat with this in mind and made adjustments where necessary and all manoeuvres on our boat from raising and reefing sails to anchoring are easily done single handed. Image via @windtraveler on Instagram. Where you are will greatly impact your cruising enjoyment. We island hopped with our babies in the Caribbean. While we did do some overnights and one five day offshore passage when we had just one aboard, the bulk of our sailing from place to place was day hops that ranged from 4-12 hours. We think this is the ideal scenario when cruising with young children (under 3). Long range passage making is taxing on adults, and even more so if you have babies or toddlers on board. We, personally, are not even considering an ocean crossing to far-flung places until our girls are at least five or older. 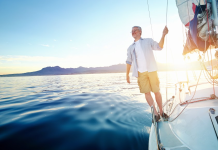 Some people do this and are successful, but we prefer to be near more facilities, amenities, and cruising families while they are super young. Again, this is a personal preference but nevertheless, something that should be taken into consideration. It has been our experience that if you can find buddy boats with children the same age as your own, you will be significantly happier. While families cruising with little tots are almost certainly on the rise, we are still in the vast minority. Not only do fellow baby boats understand what you are going through (we can’t party late, we wake up early, we like to find child friendly activities, we have parenting woes and triumphs that we like to share…etc), they have a built-in playmate for your little one which gives mom and dad a well deserved break! Socialization is very important for children so exposing them to other tots is not only beneficial for them, but for the parents as well! Some of our best friends in the world started as our buddy boat and we cruised with them for about eight months, it was a blast. On the same hand, it’s also good to be realistic that you might not always find the peers you are seeking – and, for some who are used to a tight-knit mom or parenting community on land (you know, organized play groups, classes, outings, moms day outs, preschool…etc), you might find living aboard with a baby very challenging as this lifestyle can be alienating – especially if you have young babies on board. growing child. Healthy Sleep Habits, Happy Child is the book we would recommend to learn more) and we are on the same page about how we want to raise our kids. We never worried for a minute about bringing up Isla on a boat and we think this relaxed style, combined with the fact that we had very realistic expectations as to what it would be like (having cruised as a couple before) really made our experience a positive one. It is important to note, however, that not everyone finds having a baby on a boat as rewarding or easy as we did. It really depends on the situation and each family is unique. Also keep in mind we only had ONE baby at the time, and that’s a pretty advantageous adult to child ratio. The more kids, the more dynamics there are to manage, and the more difficult it is. Every child is an individual and some children are easier than others when it comes to adaptability. Isla was so young when we brought her on the boat that she really knew no different, she thrived in the lifestyle despite what many would venture to guess. Some children are more fussy than others, some are more high maintenance – Isla was an “easy” baby, the twins have proved much more challenging. If you have a difficult baby (our Haven is what many would consider “spirited”), it’s worth nothing that it will be more of a challenge when you don’t have the luxury of play groups, organized activities and reliable baby sitters around to give you a break. Yep, I’m talking about your attitude. Your thoughts shape your life so think wisely. We hold more power in our heads that we can possibly imagine. For us, there was never any other option and we just roll with the punches and make it work because, when all is said and done, we love the lifestyle. Like anything, If you don’t love it, it will probably not work for you. Is boating with a baby for you? Maybe, maybe not. But you will never know until you try. As with anything there can be great risk involved – but as long as you are safe, responsible, and vigilant it can be an incredibly rewarding way to travel and live. Keeping these factors in mind, you might have an idea of what you are in for when you decide to sail with a baby. Best of luck! Hmm this is great advice, except you’re still missing one vital and probably most stressful thing to think about that desperately needs answering: what do you do for a living? How much money (in your particular life) has made your life financially ok? I’m looking for actual numbers here, not generalizations (and please for the love of all things spare me the same never ending line “everyone’s situation is different” – yeah I know, but actual numbers still help in figuring things out and help set knowable goals). So how much do you live on a month or a year with a family of five, and what are your jobs? I’m asking this because it’s a base, something to start from and expand upon to fit “my particular situation” …but if there’s no base, there’s nowhere to start. (Do you guys make 20k$ a year doing boat deliveries? Or are you comfortable on 10k$ a year selling jewelry online? Or did you both sell your individual law firms and are living off of 100$ million? – see what I’m after?) Also what were your finances like with one child and then three? I hope you answer with specifics and not vague generalities, you’re so willing to offer up helpful advice on everything else, why not this?